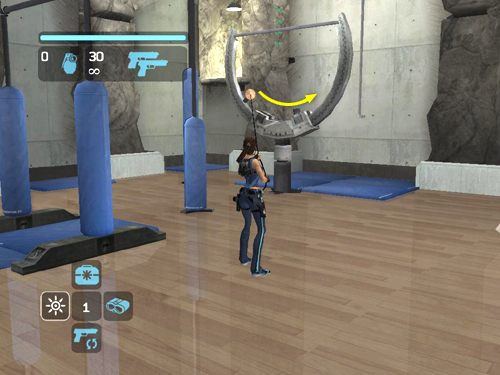 Use the grapple to arrange the C-shaped armature so the bar is vertical. Go to the freestanding climbing rock and grab onto the crevice. Jump back to grab the horizontal bar. 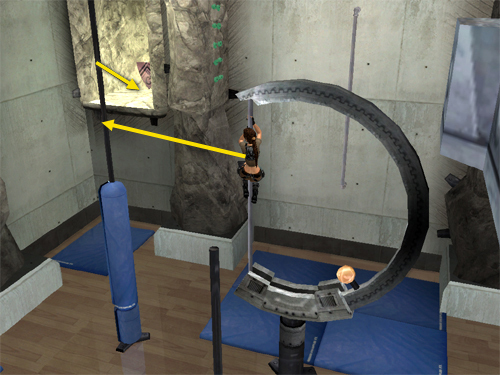 Swing around it and jump to grab the vertical bar. Jump to grab the vertical bar on the C-shaped frame. 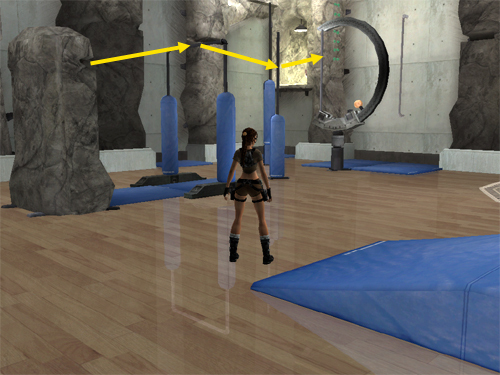 Climb as high as possible and then jump to grab the vertical pole on the left. Climb up a bit and then jump into the alcove with the bronze reward (13/16). Take it and drop to the floor. Copyright © 2006- - Stellalune (). Thanks to Shawn O. for pointing out this more straightforward route to bronze #13. Feel free to copy or print this walkthrough for personal use. By all means, share it with friends, but please include this credit line so people can send me their feedback. No part of this walkthrough may be reproduced on another site without permission.